Hi sweet Friends! Anna here today and I will invite you to my very best place in the world, ( ok, almost ,lol!) my scraproom. First I want to let you know it's not at all as fancy as those white , airy , lovely and just gorgeous studios, BUT it's my very own room and I'm so so happy and grateful for it. I love my big old desk, it's my Father in law's and he's got it from a school when they sold out old furniture. He doesn't use it anymore so I grabbed it, YESS!! I got an older version of the Ikea Kallax shelf, called Expedit. I storage my cardstock and my albums in here. Ohh, and some other random stuff as well...lol! You also can spy my beloved sewing maschine and my old - totally not fancy- but still working typewriter bought on a second hand store nearby. 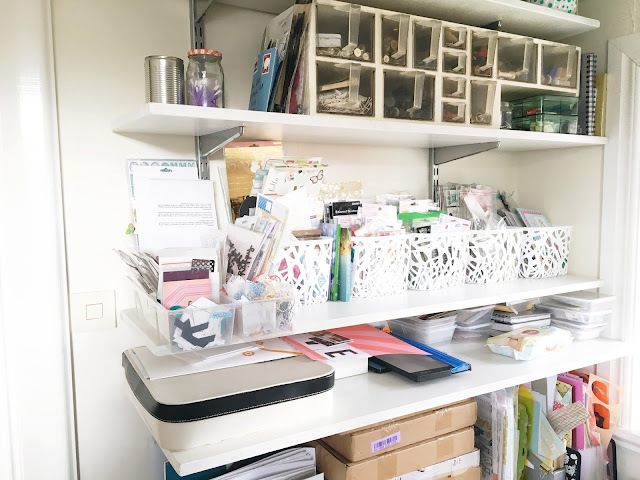 I got some shelfs right behind my working area with loads of storage. 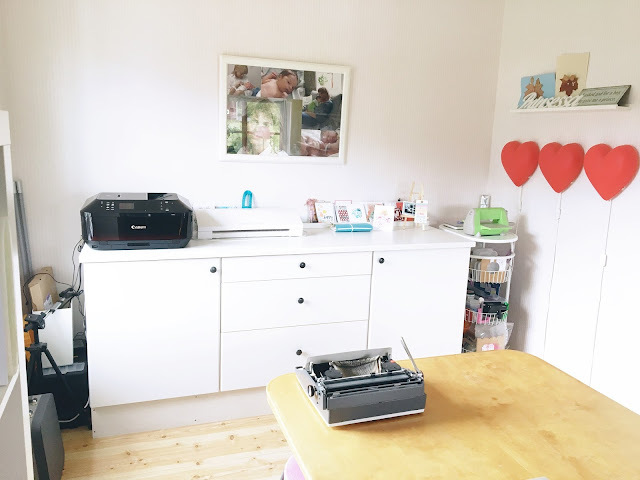 Here's a worktop that holds my printer and my absolutely fantastic Silhouette Cameo. Also it swallows loads of crap in the cupboards and drawers, lol! To the right yo see my faithful old servant, my lovely green Cuttlebug. One of my most recent purchase, a gorgeous storage basket tower from Ikea called Sommar 2017. And a jar of cotton thread in several lovely colors. The wooden box with small plastic boxes in are from my parents old kitchen. I grabbed it when they moved and nobody else wanted it, believe it or not !! Ahh!! 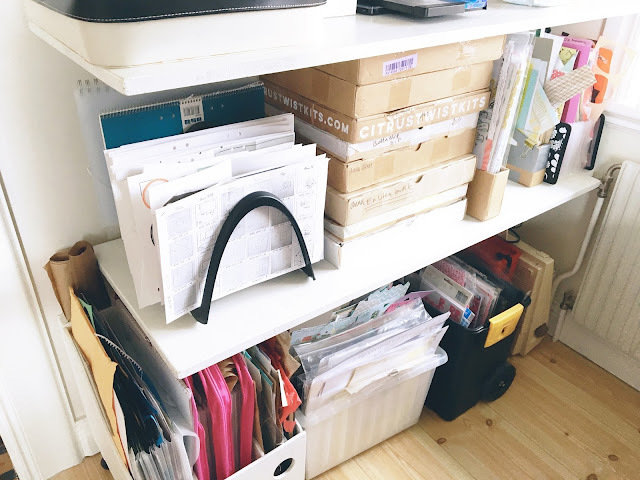 you can spy some CTK boxes!! I storage all my kits in it's own box as far as I can and as far as it is enough material left. 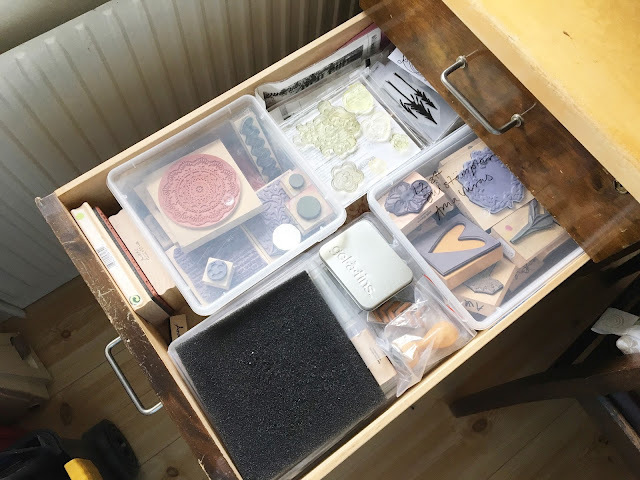 When there's just some small bits and pieces left I sort them out in other baskets and storage folders. Here's another favorite ,well known by many, my Råskog by Ikea. It's awesome and gorgeous, win win!! As I told you, not so fancy but yet so very perfect for me. Thanks so my much for stopping by! 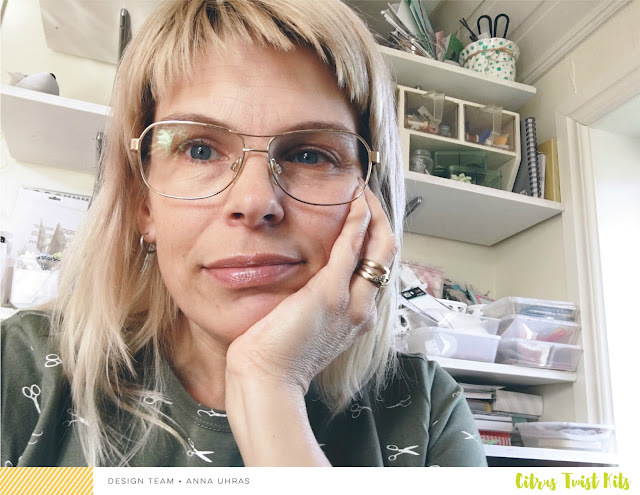 LOVE your crafting space Anna! So light and happy! 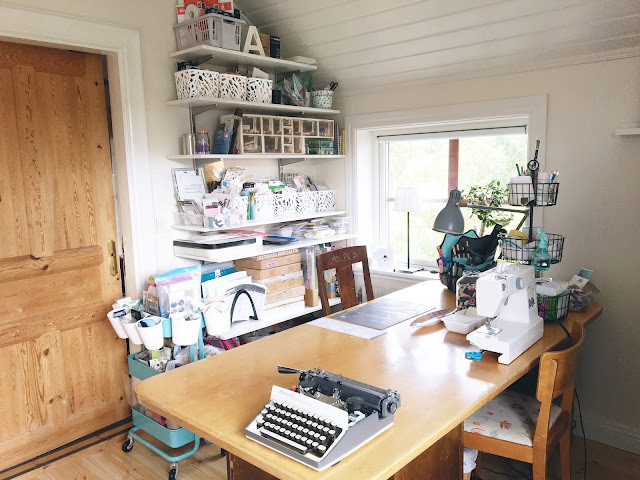 Look at this lovely room where you pour love into your gorgeous creations! Such a beautiful room Anna. Wow! 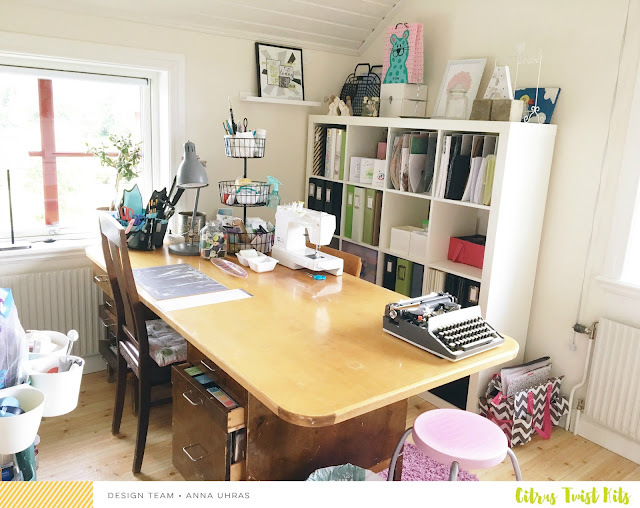 Great space Anna! I love that huge desk. 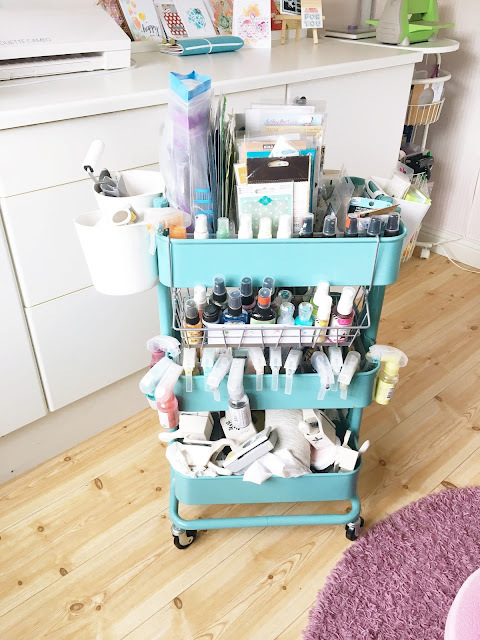 Perfect for spreading out all of your supplies on. Haha!!! ♥️😅 Just wait!!! You know how messy I am in action, haha!! 😘 Hugs!!! 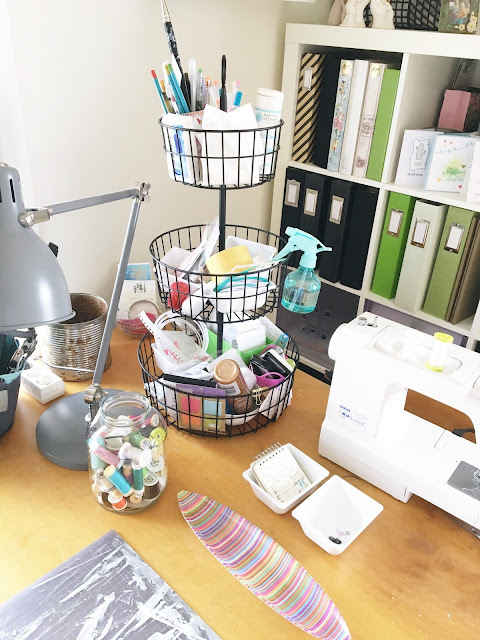 Fabulous scrap space!!!!! 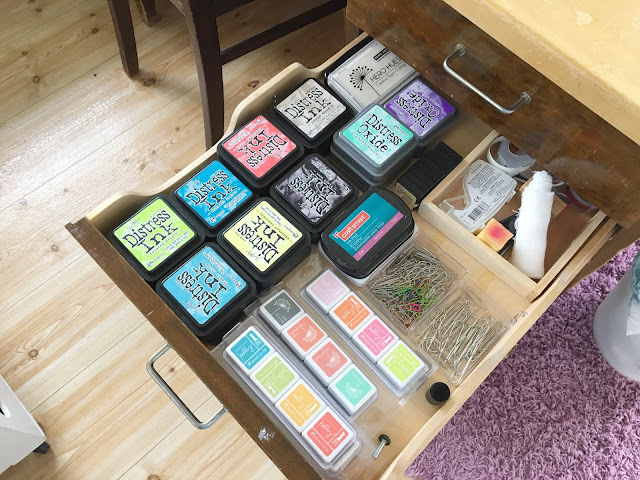 So organized and tidy!